Did parties to the Fort Laramie Treaty honor their treaty obligations? 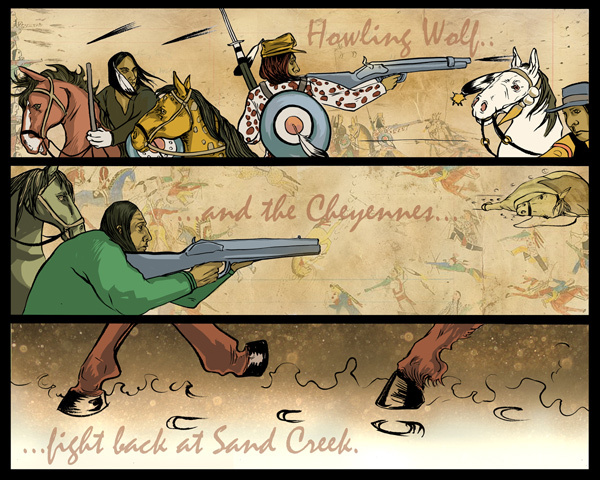 After the Horse Creek Treaty of 1851, Native Nations suffered numerous violent acts from individual settlers as well as the United States military, including attacks that became known as the Harney Massacre and the Sand Creek Massacre. 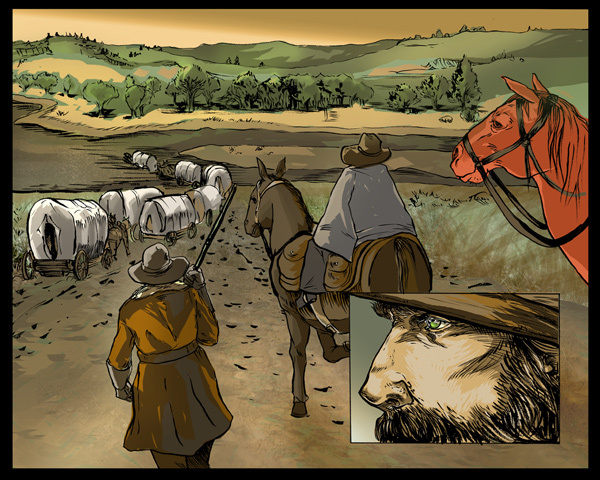 Gold discovery in Montana intensified these violent confrontations, particularly following the opening of the Bozeman Trail, which represented an incursion into Native lands in the northern Great Plains. Native Nations resisted this growing invasion. Still reeling from the drain on military resources caused by the Civil War, the United States was unable to mount an effective offensive against this fierce Native resistance and was pressed to engage in treaty negotiations. Explore this timeline to examine selected events that occurred after the 1851 Horse Creek Treaty and led to the Fort Laramie Treaty of 1868. 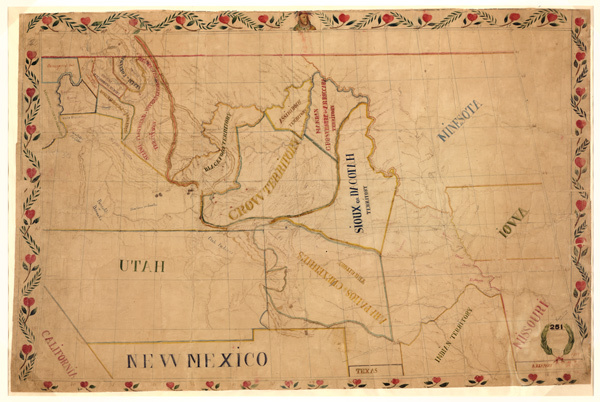 February 1851: Congress authorizes $100,000 to hold a great council with Plains Nations. De Smet, Pierre. 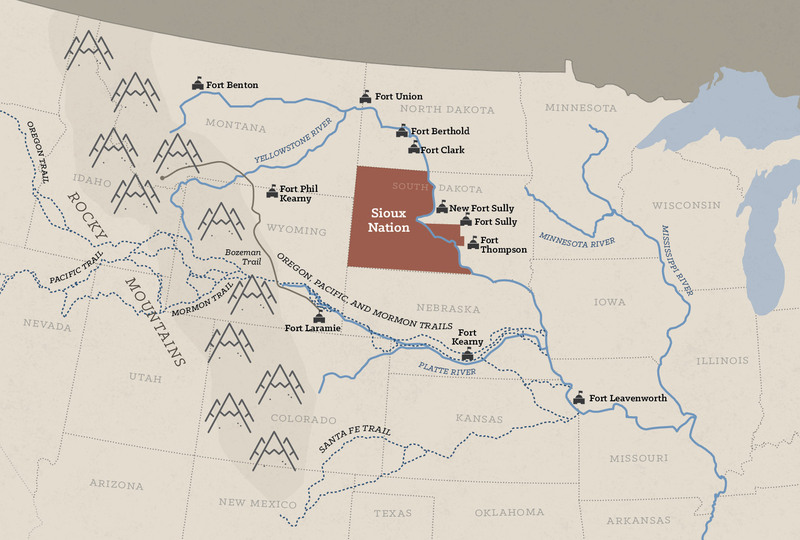 Map of the Upper Great Plains and Rocky Mountain Region. Map. 1851. From Library of Congress Geography and Map Division. 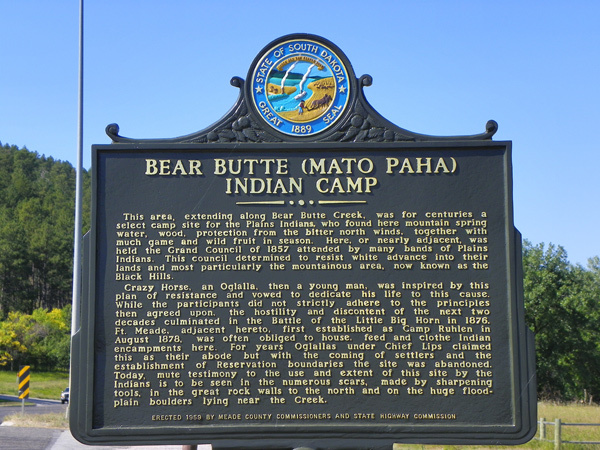 A Mormon emigrant’s cow wanders into a Lakota camp and is killed for food. The military, led by Second Lieutenant John Lawrence Grattan, demands the person who killed it be turned over. Tribal leaders offer reparation, but they are refused. Lakota (Sioux) successfully defend themselves, killing twenty-nine U.S. soldiers. 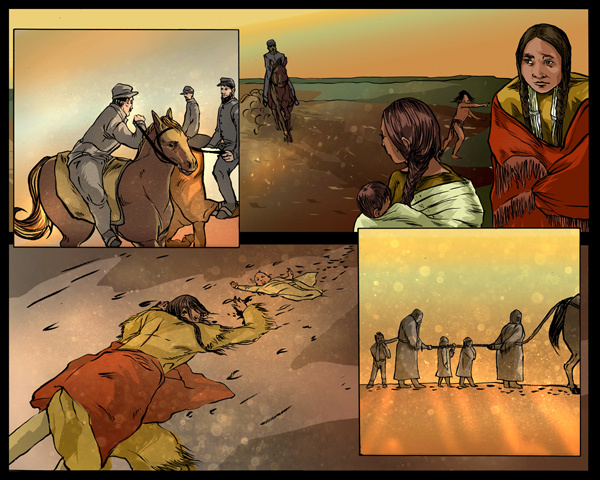 After a false accusation of horse stealing is made against a party of Cheyennes, one Cheyenne is shot and killed, another captured, and a third wounded. 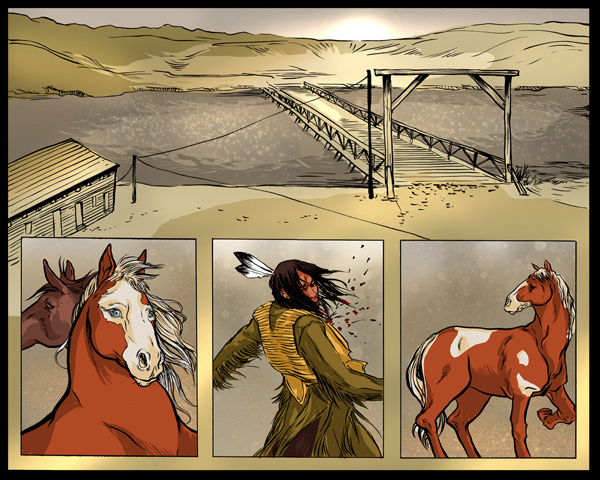 The horses in question actually belong to Two Tails, who was later to become the famed Chief Little Wolf. Gathering of Oceti Sakowin (Sioux) Nations over invasion into their territory. 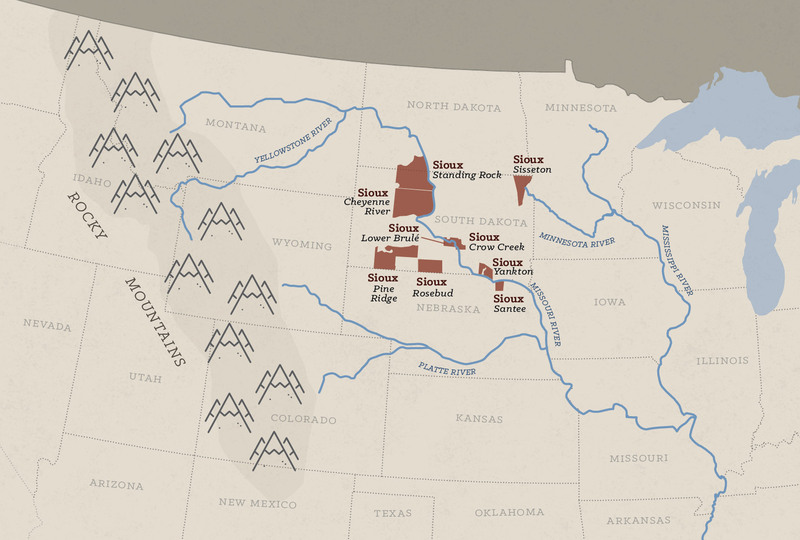 The Seven Council Fires outline policy against U.S. encroachment into the Black Hills. The United States government is preoccupied with the war and ignores its treaty agreements with Native Nations. 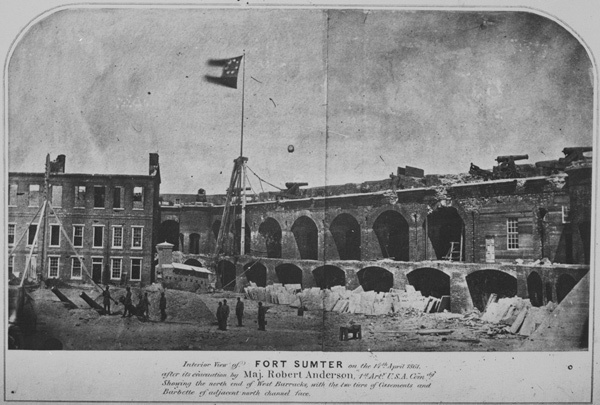 Interior View of Fort Sumter, April 14, 1861. NAID 532292. Photographs of Federal and Other Buildings in the United States, 1857–1942, Record Group 121, Records of the Public Building Service, 1801–2000, National Archives at College Park – Still Pictures (RDSS), College Park, MD. Dakota Territory is created by President James Buchanan. This act opens the way for the U.S. government to build forts in Indian territory. Dakota (Sioux) in Minnesota face confinement and starvation that ultimately leads to resistance and conflict, imprisonment in two concentration camps at Fort Snelling and Mankato, and the hanging of thirty-eight Dakota men on the day after Christmas. Major gold discovery in what would become Montana Territory. 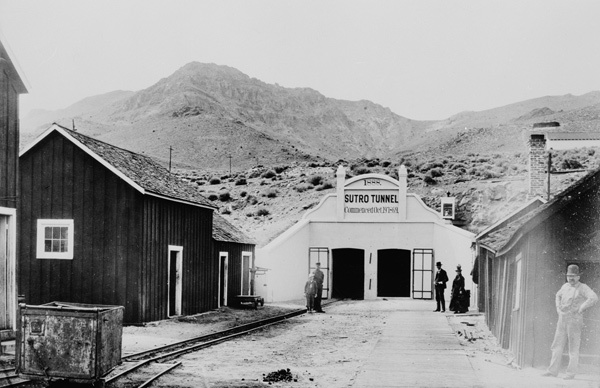 Sutro Tunnel Entrance, Comstock Mines vicinity, 1933. Photograph by W. Bailey, Historic American Buildings Survey, Library of Congress. Pacific Railway Act passed to secure railroad passage through Indian lands. Report of the Secretary of the Interior, 1869, in House Executive Document no. 1, part 3, 41st Congress, 2nd session, serial 1414. Colonel Chivington and seven hundred Colorado Volunteers attack a camp of Southern Cheyennes and a small number of Arapahos; two-thirds of the camp were women and children. 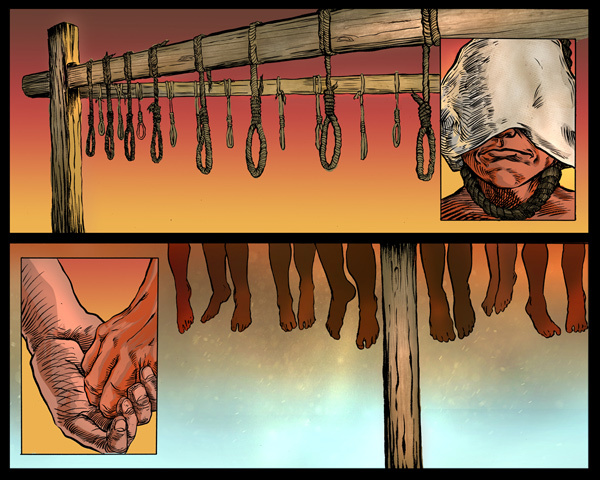 One hundred thirty-seven people, mostly Southern Cheyennes, were brutally massacred. 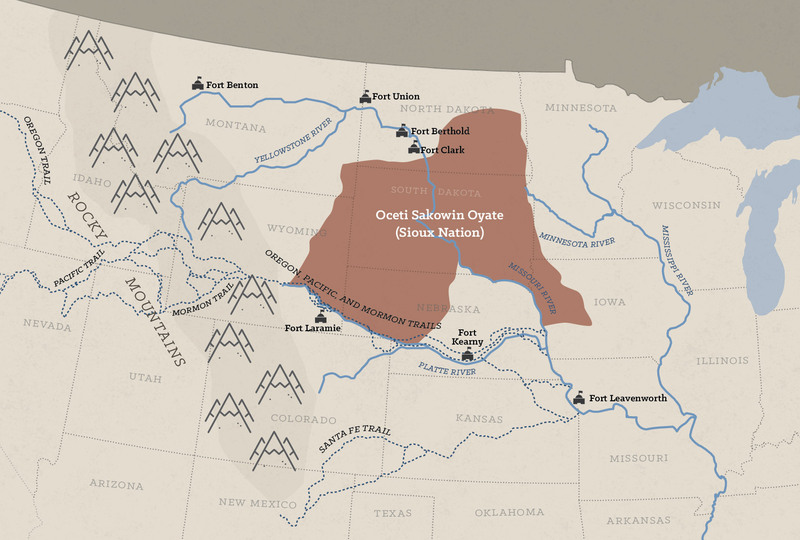 The Powder River Expedition, a military operation of the United States government, was intended to crush the “hostile” Northern Plains tribes—in particular, the Cheyenne, Sioux, and Arapaho Nations. Military turns its attention and resources to the West. 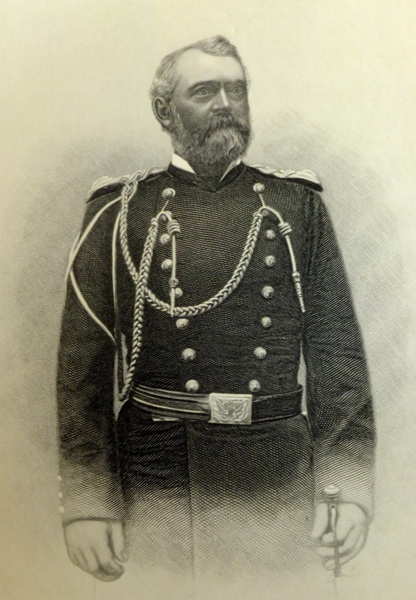 Grant, Lt. Gen. Ulysses, S.; three-quarter-length standing. NAID 558720. Photograph by Mathew Brady. 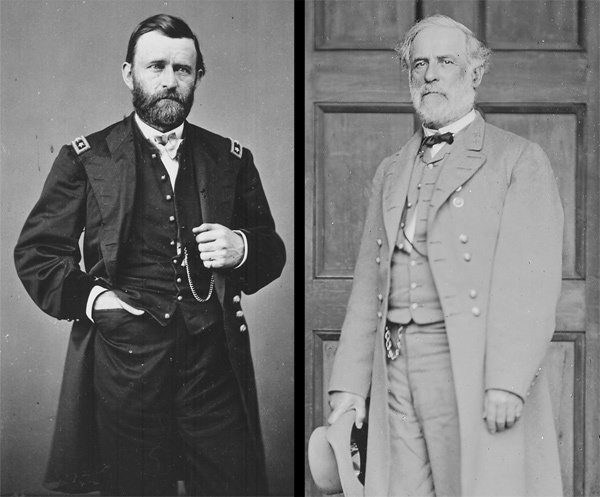 Personalities from the Civil War Era, 1860–1869, National Archives at College Park- Still Pictures (RDSS), College Park, MD. Lee, Gen. Robert E.; full-length, standing, April 1865. NAID 525769. Photograph by Mathew Brady. Record Group 111, National Archives at College Park-Still Pictures (RDSS), College Park, MD. Lakota, Northern Cheyenne, and Northern Arapaho engage in conflict with U.S. military over invasion and expansion into Native territories. 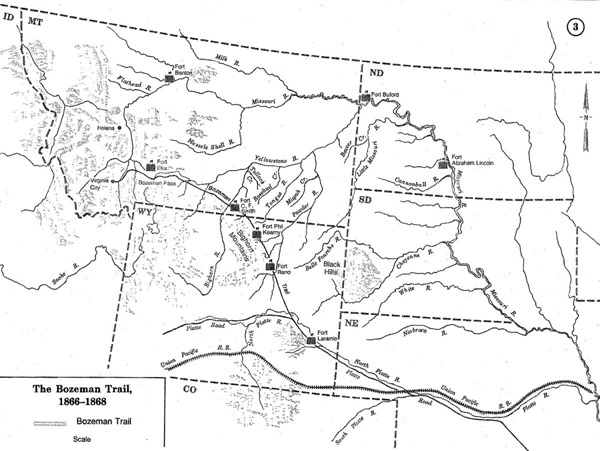 President Grant orders the forts on the Bozeman trail to be closed and abandoned in response to pressure from the Sioux Nation and other Northern Plains tribes. Robertson, Brown, Campsey, McMee, compilers, Atlas of the Sioux Wars, Combat Studies Institute, U.S. Army Command and General Staff College, Fort Leavenworth, Kansas. In the spring of 1868 a conference is held at Fort Laramie, in present day Wyoming, which results in a treaty with the Sioux. 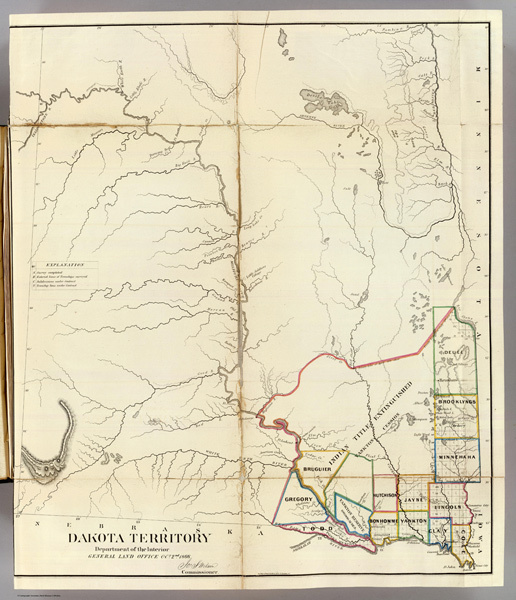 This treaty is intended to bring peace between the whites and the Sioux who agree to settle within the Black Hills reservation in the Dakota Territory. Articles of a treaty made and concluded by and between Lieutenant General William T. Sherman, General William S. Harney, General Alfred H. Terry, General O.O. Augur, J.B. Henderson, Nathaniel G. Taylor, John G. Sanborn, and Samuel F. Tappan, duly appointed commissioners on the part of the United States, and the different bands of the Sioux Nation of Indians, by their chiefs and headmen, whose names are hereto subscribed, they being duly authorized to act in the premises. These are the agreements made in a treaty between the United States and the Sioux Nation of Indians. It was made by commissioners who are the officially appointed representatives of the United States—Lieutenant General William T. Sherman, General William S. Harney, General Alfred H. Terry, General O.O. Augur, J.B. Henderson, Nathaniel G. Taylor, John G. Sanborn, and Samuel F. Tappan—and the chiefs and headmen of the different bands of the Sioux Nation of Indians who signed their names to it as the Sioux’s authorized representatives for this purpose. From this day forward all war between the parties to this agreement shall forever cease. The government of the United States desires peace, and its honor is hereby pledged to keep it. From now on, there will be no more war between the nations that sign this agreement. The United States government wants peace and pledges its honor to keep peace. 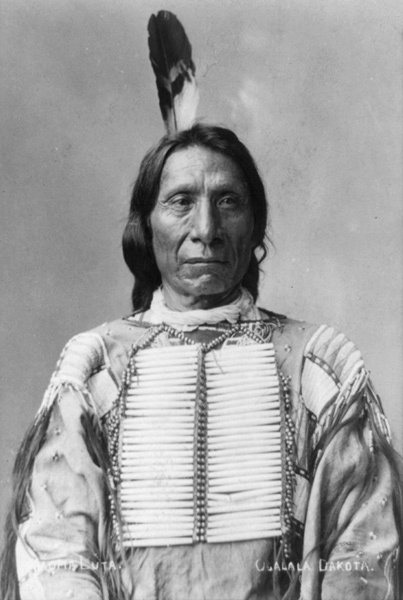 Red Cloud, Oglala Lakota, explains to his audience the consequences of different understandings of the language contained in the Fort Laramie Treaty of 1868. Language barriers often led to misunderstandings and even deceit in treaty negotiations. 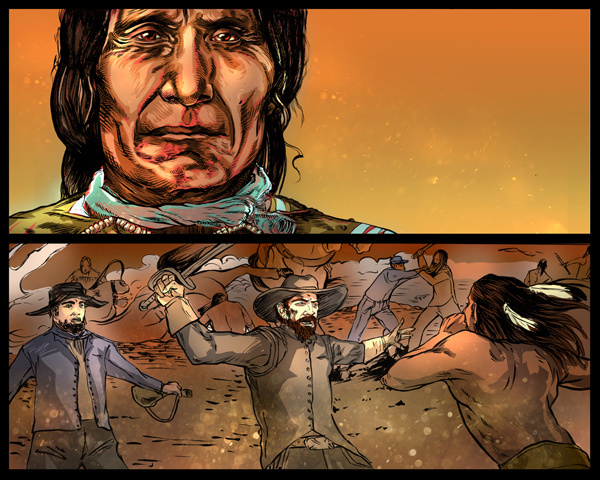 What do you think Red Cloud hoped to gain by traveling to New York and making this speech? The United States agrees that the following district of country . . . commencing on the east bank of the Missouri . . . shall be, and the same is, set apart for the absolute and undisturbed use and occupation of the Indians herein named. The United States agrees that the following section of land . . . beginning on the east bank of the Missouri River . . . shall be and is set apart for the sole and undisturbed use and occupation by the Indians named in this treaty. In early July 1874, Lt. Col. George Armstrong Custer, in violation of the Fort Laramie Treaty of 1868, led a thousand-man expedition into the Black Hills. He was under U.S. government orders to find a good location for a military post. Miners accompanied Custer’s military forces. By mid-July Custer reported the presence of gold and within a year, more than a thousand miners had streamed into the Black Hills—territory that belonged to the Lakota (Sioux). 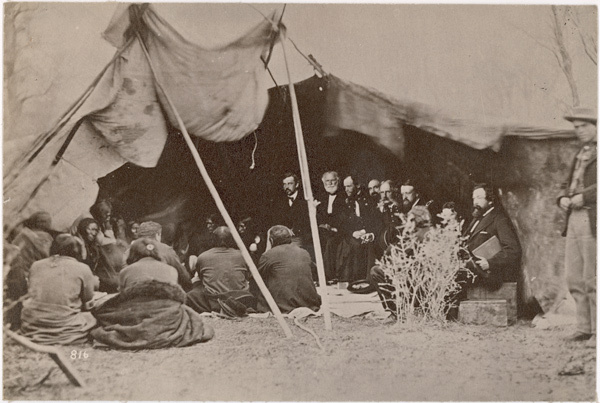 In May 1875 a delegation of Lakota chiefs came to the White House to protest the government’s failure to honor certain treaty obligations, including supplying adequate rations to the Lakota Nation. During meetings with Lakota chiefs, President Grant brought up the issue of miners overrunning the Black Hills. 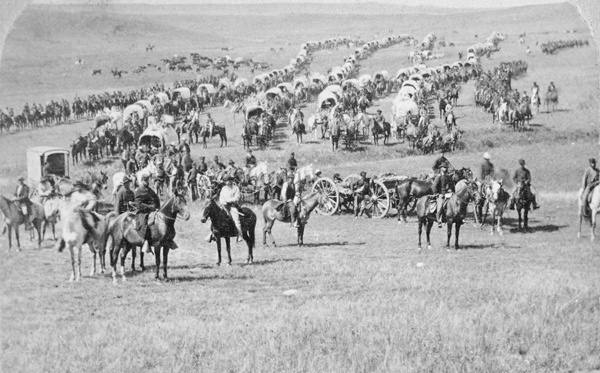 Grant claimed he could not stop the miners and that the Lakotas must either give up the Black Hills or lose their rations. Colonel Richard Irving Dodge was one of several officers sent to the Black Hills post to expel unauthorized people in the area. 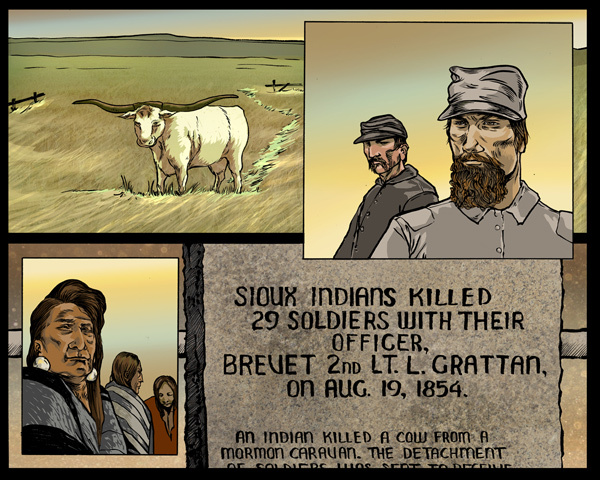 Eventually talks between the Lakota chiefs and President Grant failed and Native leaders returned to their reservation. Meanwhile, more miners poured into the Black Hills. Peter Cozzens’s article traces President Grant’s efforts to take the Black Hills from the Sioux Nation. Why do you think that miners accompanied the military during Custer’s expedition of the Black Hills? Was the government or the citizenry driving the incursion into the Black Hills? Could the government have prevented the incursion into the Black Hills? Why do you think President Grant was determined to take the Black Hills, even at the risk of provoking war? Was there any justification for Grant’s actions given the pledges made in Article I of the Fort Laramie Treaty? No treaty for the cession of any portion or part of the reservation herein described which may be held in common, shall be of any validity or force as against the said Indians unless executed and signed by at least three-fourths of all the adult male Indians occupying or interested in the same . . .
No treaty giving away any part of the commonly held reservation described in this document shall be legal or enforceable against the Sioux Indians unless it is agreed to and signed by at least three-fourths of all the adult male Indians who live on or have an interest in that portion of the reservation land . . . In 1877, the U.S. Congress changed the terms of the 1868 Fort Laramie Treaty: the Black Hills would no longer be for the Lakota Nation’s “absolute and undisturbed use and occupation.” The Lakota Nation regarded this act as a violation of the Fort Laramie Treaty. The Lakota Nation argued that because only ten percent of the adult males agreed to the terms of the 1877 Act, the taking of the Black Hills was illegal according to the terms of the original 1868 Fort Laramie Treaty. The issue of treaty abrogation was first brought to the courts in the early twentieth century. However, it was not until 1980 that the U.S. Supreme Court heard the case. The Supreme Court held that the 1877 Act constituted a taking of property under the Fifth Amendment. The court found that the 1877 Act was indeed a taking of tribal property. Taking implied an obligation on the U.S. government's part to make “just compensation” to the Sioux. In U.S. v. Sioux Nation, the court held that the Sioux were entitled to an award of interest on the principal sum of $17.1 million (the fair market value of the Black Hills as of 1877), dating from 1877. The Sioux Nation has refused to accept the money, choosing instead to seek the return of the land itself. Was the taking of the Black Hills inevitable? Why or why not? Did the United States suffer any consequences for not honoring its treaty obligations? Explore the maps and notice how Native Nations’ lands have changed over time. Consider what these changes tell you about whether or not nations honored their treaty obligations. Click and drag to move map. Use the buttons to zoom.